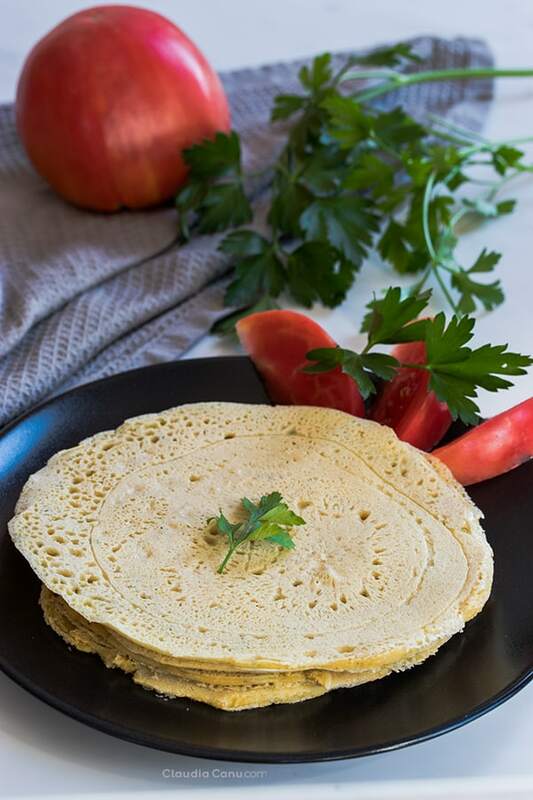 These gluten-free and vegan tortillas, prepared with chickpea flour, are very easy to make and only need a few minutes. They are 100% healthy and a cheap option for a different meal, brunch or snack and they are perfect to add them to your Healthy Meal Plan. As you can see in the video, to prepare these chickpea flour tortillas, you have to mix only 4 ingredients and use a good non-stick pan. Probably the most difficult part of this recipe is getting the round shape for the tortillas. I have to say that I’m not the most expert in getting perfect and photogenic tortillas, but, as you can see in the video, although it does not come out round at first, you can use a spatula to shape it before the edges are completely cooked. The main reason why these tortillas are healthy is that they are prepared only with natural ingredients and without preservatives or stabilizers. On the other hand, the ingredients for these gluten-free tortillas are: chickpea flour, water, herbs, and salt. This is a perfect example to emphasize that, if a product has the organic logo, it is not always synonymous with healthy. 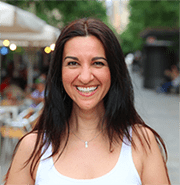 So, I encourage you to always read the labels and if you find in the list of ingredients too many words that you do not know, you might prefer to invest some of your time in preparing more homemade meals to take care of your health. This does not mean that, from now on, you should ONLY eat the tortillas that you prepare at home, not ordering them ever again at a restaurant, or for convenience, buying them from the supermarket. 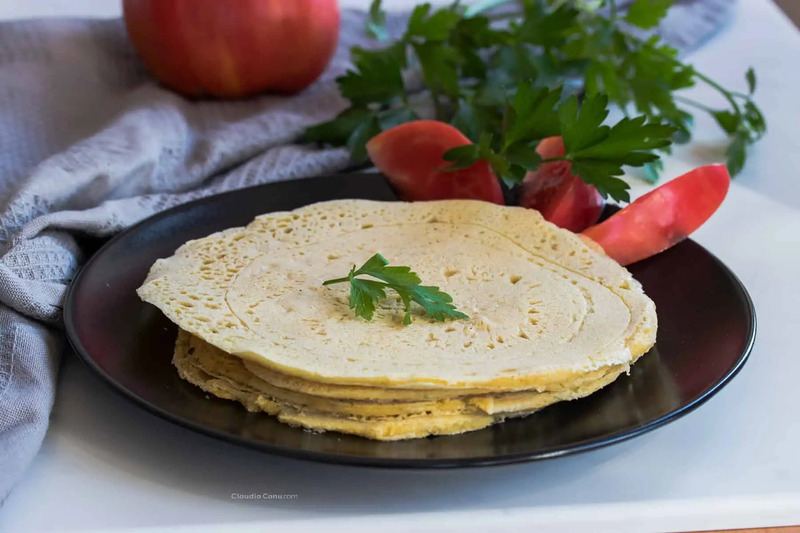 The idea is that you have access to this recipe so that you have an alternative and the freedom to decide if you prefer to find some time to prepare your own homemade healthy tortillas. There are nutritionists who suggest that we shouldn’t eat gluten. They do not say that we better consume products labeled “gluten-free”, but that we avoid foods that contain gluten naturally, such as the wheat that is usually used in many preparations, like tortillas. 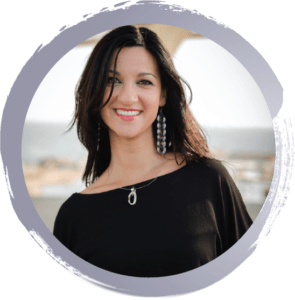 There are other nutritionists who advise against completely eliminating gluten from our diet because, when we stop consuming it completely, it is possible that our body becomes intolerant. Many of the foods sold today by the food industry have made many people intolerant to this protein. 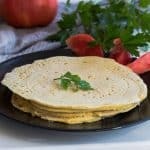 Recipes like these gluten-free tortillas are a perfect alternative for people with intolerances and also for all of those people who prefer to avoid foods with gluten prepared with refined ingredients. Chickpea flour is a good alternative in the preparation of gluten-free recipes. 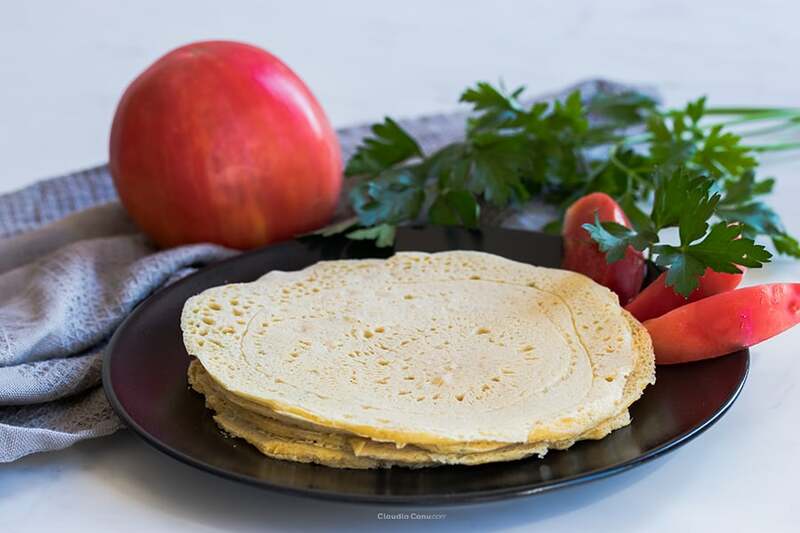 The only thing that should be noted is that the consistency of these tortillas prepared with chickpea flour is not the same as those prepared with wheat flour because the gluten in wheat acts as “glue” so that the tortilla does not break so easily. 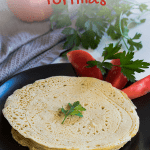 These gluten-free tortillas are a little more delicate and if prepared too thin, it is possible that they can break easily, so I recommend that you make them a little thicker. Is it expensive to prepare these gluten-free tortillas? The most expensive ingredient in this recipe is chickpea flour. Using as a reference the price in one of the stores in Barcelona that sells organic products, 500 grams of chickpea flour costs € 3.60. Considering that, with 50 grams we prepare 4 tortillas, taking into account that the cost of the rest of the ingredients is almost nonexistent, we can say that each tortilla we prepare costs us € 0.10. In the same organic supermarket, a package of 6 tortillas is worth € 3.18, meaning that each tortilla comes out at € 0.53. Some may think that the price of € 0.10 must be added for the price of labor, I personally believe that the time we spend preparing our meals is actually the best investment we can make, so that in the future we save time and money that we will have to invest in curing ourselves of diseases due to a bad diet. Every time I cook, I tend to prepare bigger quantities so that I have food ready to eat for a few days. The same goes for these tortillas. Even though with the amounts of this recipe we make only 4 tortillas, it’s easy to double or triple the amounts to prepare more, in case you have guests coming over, or if you just want to have tortillas for several days in a row. In that case, storing them is very easy. You can leave them on a plate, cover them with plastic wrap and store them in the fridge for a couple of days. I have not tried to freeze them yet, but I’m not sure it would be a good idea. Will you let me know if you try it? For a sweet version, you can substitute salt and herbs with cinnamon, and cocoa powder or carob but you’ll also need to add a sweetener to mask the taste of chickpeas. I made a version adding 1 tablespoon of honey, 1 tablespoon of cacao and 1 tablespoon of carob and it was already better. With the help of a whisk, mix all the ingredients until there are no lumps. Heat up a nonstick pan and pour some of the dough to form a disk. Once there are bubbles appearing on the surface, and the bottom side doesn’t stick on the pan anymore, you can flip the tortilla. Wait until the other side of the tortilla it’s done and you can take it out of the pan. Repeat until you finish the dough. The other night I’ve tried this recipe for a Mexican dinner with some friends who are vegan and one who can’t eat gluten. I just prepared a bunch of ingredients so that everyone could make their one wrap and it was a success!